Loretta Lees is an urban geographer who is internationally known for her research on gentrification/urban regeneration, global urbanism, urban policy, urban public space, architecture and urban social theory. She is a Professor of Human Geography at the University of Leicester; she previously worked at: King’s College London (1997-2013) where she held a professorship and was Chair of the Cities Group, the University of British Columbia, Canada, and Waikato University, New Zealand. Since 2009 she has co-organised The Urban Salon: A London forum for architecture, cities and international urbanism (see www.theurbansalon.org/) and since 2016 the Leicester Urban Observatory (www.leicesterurbanobservatorywordpress.com/). She has published 12 books including in 2016 Planetary Gentrification (Polity Press). She has a PhD (1995) from the University of Edinburgh and is a Fellow of the Academy of Social Sciences (FAcSS) and a Fellow of the Royal Society of the Arts (FRSA). The contemporary physical, socio-cultural and political worlds are being increasingly compartimentalised. 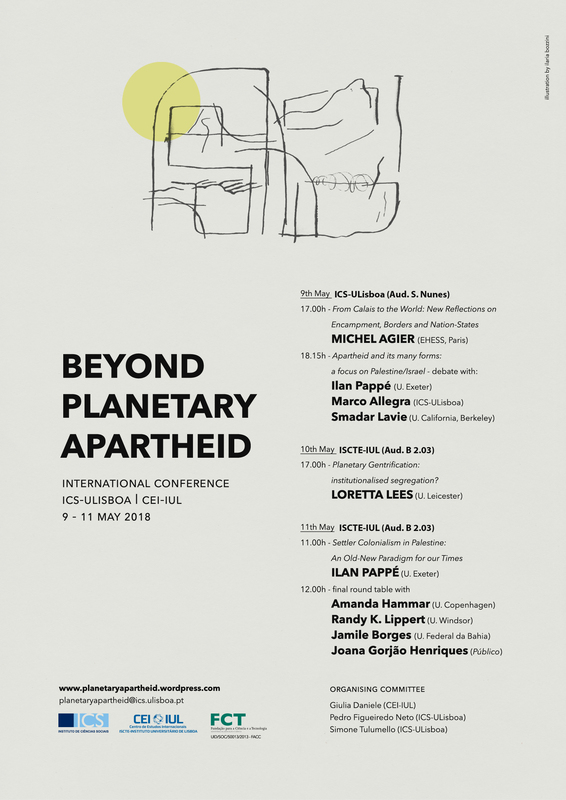 In this conference, we want to discuss whether, and to what extent, are the global society and space moving toward a state of generalised and planetary, if creeping, apartheid – borrowing on ideas of Agier (2014), Brenner (2013), and Yiftachel (2009). While we observe settler colonialism becoming a global and transnational phenomenon (Veracini 2010; Wolfe 1999), apartheidisation represents one of its forms in a continuous relationship with other political forces/processes, and in the consolidation of multiple (in)visible borders. Our intent is to take some steps beyond the analysis and exposure of the various forms of segregation, fragmentation, polarisation, gentrification, ghettoisation, militarisation, and ultimately apartheidisation, observed around the globe (cf. Graham and Marvin, 2001; Diken 2004; Graham, 2010; Rossi and Vanolo, 2012 ; Pappé, 2015; Lees et al., 2016; Tulumello, 2017, among others); and question what are the (bio-)political, ideological discourses and practices, be they hegemonic or banal, that shape those very phenomena. The sessions will happen both at ISCTE-IUL and ICS-ULisboa. A few attendee seats are still available, please confirm with organisers at planetaryapartheid@ics.ulisboa.pt. Complete Programme and Book of Abstracts are available.